DT Media has released Zen Arcade & Greatest Hits by Daniel Thomas MacInnes. Greatest Hits: An Anthology in Four Volumes is a compilation book that consists of musings and essays across four separate volumes. "When author Daniel Thomas MacInnes dissects the pop culture universe, you better sit up and pay attention. 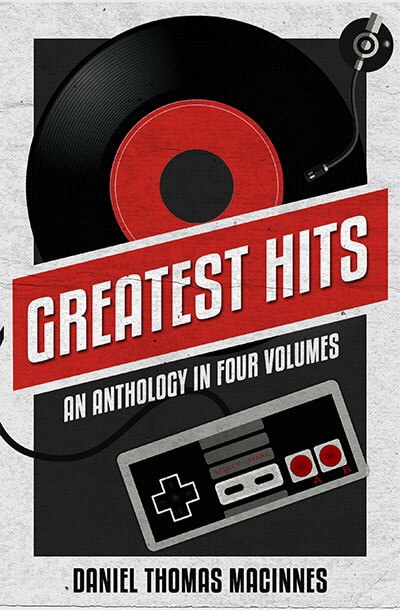 Greatest Hits: An Anthology in Four Volumes is a compilation book that collects essays and musings from four separate book volumes (including two still in production) under one roof. “An Anthology in Four Volumes” examines, dissects and satirizes the pop culture universe from every angle: film and television, animation and live-action, music and audio, video and computer games, politics and social commentary. Every chapter is filled with sharp wit, humor and insight. Zen Arcade: A collection of 140 classic video game reviews across six legendary systems, NES, Super NES, Nintendo 64, Turbografx-16, Sega Genesis, and Neo-Geo. Essential reading for fans, collectors and designers alike, this is the new standard for video game criticism. Pop Life: Essays and social commentary that takes live through the distorted lens of popular culture and the arts, including film & television, music & audio, video games & animation, politics & daily life. Videogame Classics: Reviews celebrating the greatest video and computer games ever made, from legendary blockbuster hits to the most obscure classics. Every era and style of video game is covered, from the 1970s to today and all points in between. (Full book coming soon.) Conversations on Ghibli: A comprehensive study of the animated movies of Hayao Miyazaki and Isao Takahata, founders of the legendary Studio Ghibli. For lovers of Ghibli, animation and the movies, this is essential reading. (Full book coming soon.) Like the “greatest hits” records of the past, this album is a perfect sampler of the artist’s broad work, and is an excellent starting point for your literary journey. 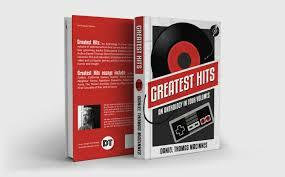 Greatest Hits essays include: ActRaiser; Anne of Green Gables; California Games; Donkey Kong Country; Herzog Zwei; My Neighbor Totoro; Napoleon Dynamite; Ratatouille; Sonic CD; Spirited Away; The Thriller Zombies Come to Chew on the Corpse; Truth is the First Casualty of War; and 80 more." Zen Arcade: Classic Video Game Reviews is a very nice collection of video game reviews that looks at 140 titles across six platforms. If you are a fan of retro gaming or just looking to try some classic games out, then this may be the book for you. "Zen Arcade collects 140 reviews of video games across six classic platforms: Nintendo Entertainment System (NES), Super NES, Nintendo 64, NEC Turbografx-16, Sega Genesis and SNK Neo-Geo. 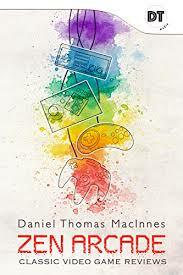 Author Daniel Thomas MacInnes, a video game writer and critic for over 20 years, guides you through this living history with intelligence, humor and wit. Do you love retro video games? Are you a veteran collector, or a young player wondering where to begin? Are you a modern game designer searching for inspiration, or a writer seeking insight? Zen Arcade is a celebration of the vitality and power of classic video games to inspire and entertain. NES reviews include: Adventure Island; Bubble Bobble; Donkey Kong; Galaga; Ice Hockey; The Legend of Zelda; Mega Man; Metroid; NES Play Action Football; Ninja Gaiden; Super Mario Brothers; Tennis; Xevious; and more. Super NES reviews include: ActRaiser; Castlevania 4; Donkey Kong Country; F-Zero; Final Fight; Gradius 3; The Legend of Zelda: A Link to the Past; Pilotwings; SimCity; Street Fighter 2 Turbo; Super Mario World; Super Metroid; and more. Nintendo 64 reviews include: Cruis’n USA; Mario Kart 64; Super Mario 64; Wave Race 64; and more. Sega Genesis reviews include: Altered Beast; Columns; Ecco the Dolphin; Ghouls ‘N Ghosts; Golden Axe; Space Harrier 2; Sonic the Hedgehog; Streets of Rage 3; Toejam and Earl; and more. NEC Turbografx-16 reviews include: Alien Crush; Bonk’s Adventure; Bomberman ’93; Devil’s Crush; Dragon Spirit; Dungeon Explorer; Military Madness; Neutopia; R-Type; Super Star Soldier; World Class Baseball; and more. SNK Neo-Geo reviews include: Art of Fighting; Baseball Stars 2; Fatal Fury; The King of Fighters ’94; Magician Lord; Neo Turf Masters; Samurai Shodown; World Heroes; and more." 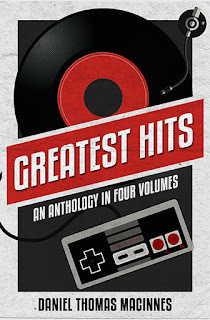 In the end, Greatest Hits: An Anthology in Four Volumes and Zen Arcade are great titles for video game enthusiasts old and young alike. The books are a great way to learn more about video game culture and get a new perspective on your favorite titles.